Recipes for rich, warming steak cooked slowly in stout and port have been handed down through generations of Sussex families, but you don't have to live in Sussex to enjoy it. Try this delicious version by Regula Ysewijn, and scroll to the bottom of the recipe for where to buy authentic Sussex beef. For more of Regula's gorgeous recipes, visit her blog, Miss Foodwise (she's said to be Jamie Oliver's favourite blogger!). Belgian food blogger and self-confessed Britophile Regula Ysewijn of Miss Foodwise shares her recipe for traditional slow-cooked Sussex stewed steak - perfect for taking the chill off of those chilly early spring evenings. Regula recommends using Sussex Red or English Longhorn beef for really authentic flavour, and enjoying with a good stout, porter or ale! Dust the meat with the flour and place in a baking dish just slightly larger than the piece of meat. If there's a fatty side to the steak, place it fat side down in the dish. Pour in the stout, port and mushroom ketchup or vinegar. Don't be tempted to add any more liquid even if it doesn't look like a lot. Season with freshly ground black pepper and cover the dish with foil. Place the dish in the lower part of the oven for three hours. After three hours, remove all but the part of the foil covering the meat. If your meat had a fatty side, turn it over now so that the fatty side is on top - this will prevent the meat drying out. Cook in the oven for a further hour to allow the sauce to thicken and the onions to colour. 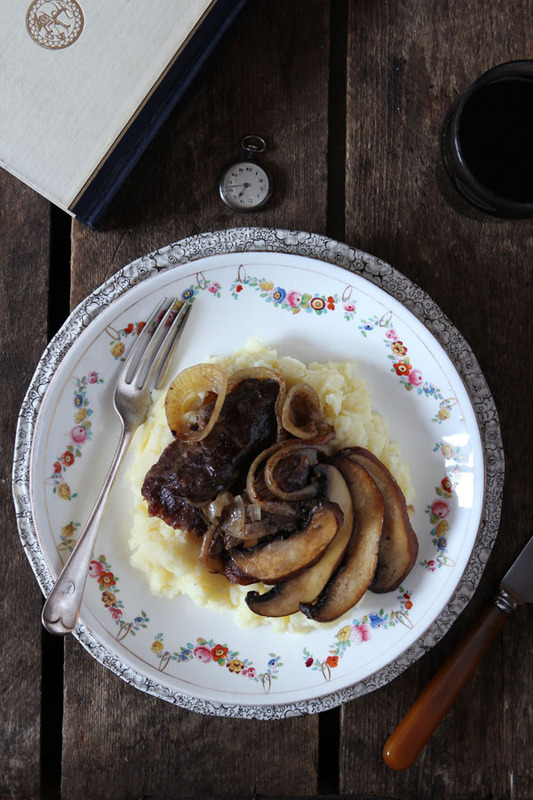 Serve with creamy mashed potatoes and a variety of sauteed mushrooms. For a true taste of Sussex, try some Trenchmore Sussex beef from Union Jack Farm Shop, home-grown beef from Southview Farm at Charlie's Farm Shop or organic beef raised at Canfields Farm, Rudgwick. If you're in Surrey, try Halliloo Longhorn beef from Church Farm in Woldingham, Shabden Park Farm's Sussex beef reared in Chipstead or Sussex beef from The Butchers Hall in Dorking.